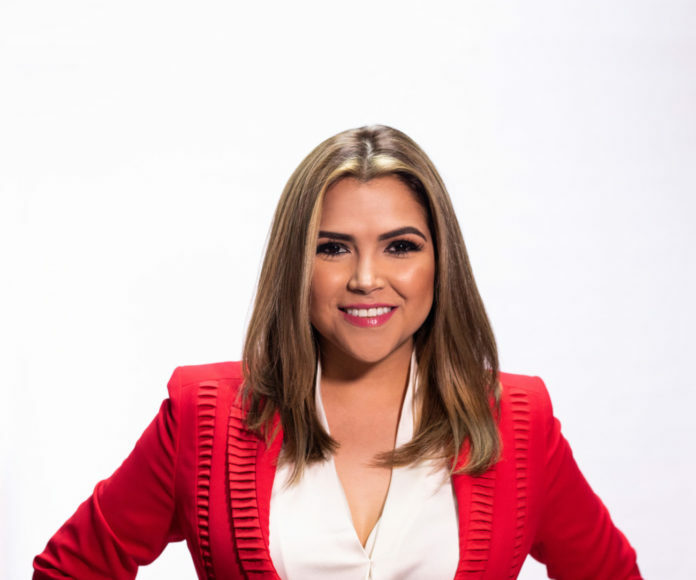 McALLEN — McAllen District 4 Commission candidate Tania Ramirez filed her 30-day campaign finance report a day late and disputed her opponent’s assertion that her father funded her campaign. Ramirez, an attorney entangled in a voter fraud investigation forwarded to the Texas Attorney General’s office, was the only candidate of the five on McAllen’s May 4 ballot to miss Thursday’s deadline. Despite the delay, Ramirez reported spending $36,000, including $12,400 in political donations and the rest from self-financing. “And not from my daddy,” Ramirez said. So goes the race to fill the southwest McAllen seat being vacated by Commissioner Aida Ramirez, who is retiring after representing District 4 for the last 18 years. The retiring commissioner has been mostly uninvolved in the race, but she hasn’t completely stayed out of the May 4 election entirely. Aida Ramirez donated $500 to incumbent District 5 Commissioner John Ingram, who is facing a challenge from Victor “Seby” Haddad, a banker and business owner, and Mark Murray, a South Texas College professor. This is the only other contested race on the May ballot. Some of the same candidates in this election have also presented leaders at city hall with a dilemma. The candidates have attempted to use and rent city parks for campaign purposes, which candidates in previous elections have done. Commissioner Omar Quintanilla, in his 2017 campaign, rented space at the McAllen Public Library for a campaign kickoff party that featured food and beverages. Commissioner Veronica Whitacre in the past has also used Fireman’s Park for campaign events. “I was very upset that this year you all didn’t allow me to do it,” Whitacre said at a regularly scheduled city commission workshop at city hall on Monday before the city commission meeting. Whitacre ended up not fielding an opponent in this election. Candidates running for non-city offices have also used city facilities. Perhaps the most prominent candidate to do so recently was Beto O’Rourke, who ran for U.S. Senate in 2018. But city officials have been slightly more strict with enforcement this election cycle. The city ordinance that legislates this is vaguely worded and does not list criteria for what qualifies candidates to hold campaign events at city facilities. Instead, it leaves essentially all the decision-making power in the hands of the city manager, which the current one disagrees with. “Nobody should have that much power,” City Manager Roel “Roy” Rodriguez said after the workshop. When asked why the rule was being followed during this campaign cycle, Rodriguez said the city “can’t always catch” every candidate holding an event. But he said this issue arises every election cycle, and this cycle has seen more instances of candidates seeking city facilities for campaign functions. Ingram opposed the idea of candidates campaigning at city parks, though he suggested events at some city parks would not impede resident’s quality of life. “Keep parks for the kids, and people can go rent any dance hall or any facility,” Ingram said, adding that there may not have been problems in the past, but there could be in the future. “You are going to eat those words someday,” Ingram said. Ingram said he has gotten calls for years from constituents who live near city parks, complaining about noise and activity there. Whitacre, later in the discussion, cited her history of hosting campaign events at Fireman’s Park.